The Mas Bruguiere vineyard is situated at the foot of the mountain in the wonderful terroirs of the Pic Saint Loup appellation. Organic and biodynamic methods are used alongside controlled yields to harvest the grapes. This, together with the avoidance of chemicals, strict use of naturally-occurring yeasts, and as little sulphites as possible, gives the wine a freshness and minerality typifying all that is best in Pic Saint Loup. 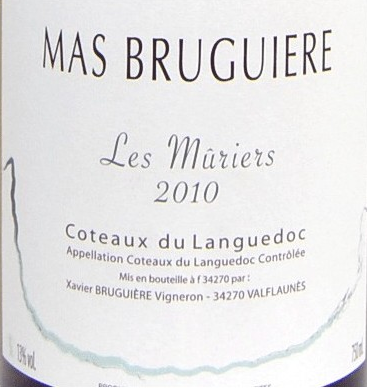 The Les Muriers 2010 offers the taste of Mirabelle plums and white peaches, with fine vanilla overtones and hints of ripe tannins. This delicious blend of 80% Roussane and 20% Marsanne provides volume and length, while whetting the appetite. Its nose is very delicate with mineral overtones. The resulting harmonies provide a long-lasting aftertaste, extended by the wine’s natural freshness. Drink at one to seven years old. Who doesn’t love a crisp, clean, dry white wine in the summertime? 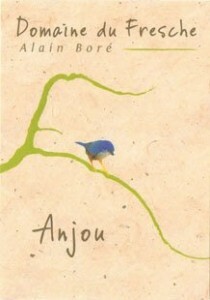 Domaine du Fresche’s Anjou Blanc 2011 is bone dry, with notes of apples and pears. Good structure, with a hit of spritz coming from a little residual carbon-dioxide, which helps lift the impression of freshness alongside the apple-like acidity running through the wine, and acts as a preservative. This is for immediate drinking, but can aged for three to five years. The vineyard has been certified organic since 2004, and has been run by the family Boré for the past six generations. The range at Domaine du Fresche is diverse, three different reds are produced from either Gamay or Cabernet Franc, the white wines are made primarily with Chenin Blanc and a little Pinot Gris, and a lovely sparkling Cremant as well as a Rosé are also produced here. 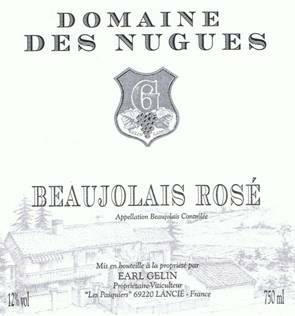 This Rosé recently arrived and is the only Beaujolais Rosé in our collection of wines. It offers a nose of red fruits, and on the pallet is a fruity, crisp, pleasant wine. Made from the young vines of red Gamay grapes; classic, goblet pruning, autumn ploughing, and sustained farming are used to harvest the Gamay. Ideal for any summer dish! This Beaujolais rosé should be enjoyed fresh and young. 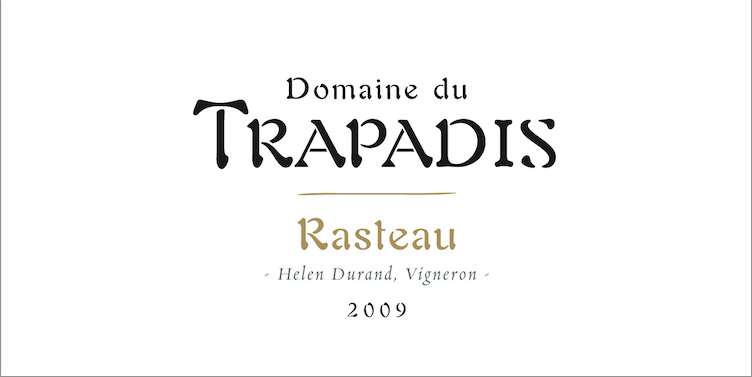 Continuing along the Rhone Valley, this week’s wine of the week is Domaine du Trapadis Rasteau 2009. On the palette you will find leather, resin, mint, medium tannins, and a touch of caramel on the finish. The wine is harvested in the Southern Rhone Valley, grown in limestone pebbles mixed with red clay and the vines have an average age of about 35 years old. Composed of 70% Grenache Noir, 10 % Carignan, 10 % Mourvèdre, and 10% Syrah this wine offers beautiful structure and lots of finesse. 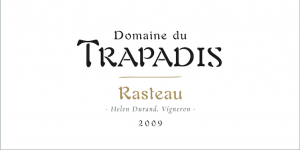 Domaine du Trapadis dates back four generations to 1850. However, it wasn’t until a marriage in 1942 that the two neighboring vineyards, owned by Helen Durand’s great-grandfathers, united their families with a marriage. The neighboring plots of land became one to create what is now known as Domaine du Trapadis. The vineyard is cultivated without herbicides, chemicals, or synthetic products. When you find the right Chateauneuf du Pape, there is no turning back. 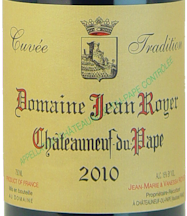 Jean Royer’s CDP Cuvée Tradition 2010 is a classic, elegant, aromatic blend of Grenache, Syrah, Mouvedre and Cinsault. The nose offers plum, cedar wood, black cherry, and loamy soil. On the palate supple dark fruit, spices, and candied flowers are intensely built then rounded out by herb and floral qualities, and a stunningly long finish. Jean Royer works closely with Oenologist Philippe Cambie, who was named Oenologist of the year by Robert Parker, to produce his wines. Make sure you don’t let this suburb Chateauneuf du Pape pass you by. This wine was featured at “Bite Nite” last week alongside a tasting from LA’s top restaurants. Patrons came back again and again for another pour of this delicious red wine consisting of 80% Grenache, 20% Syrah. It is full-bodied, with rich raspberry and spice flavors, and an astonishing finish. 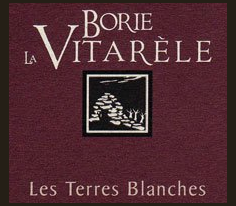 Borie la Vitarèle is aged for 18 months, and bottled unfiltered. Respect for the soils and respect for the wines; these are the key principles of the Borie la Vitarèle estate, located in the Saint-Chinian region of the Languedoc. In the cellar, each vintage reveals a different personality. Luc Lapeyre seeks to find the perfect combination of grapes for each wine, even if he doesn’t sleep at night, that will showcase the grape as it stands, only this year, capturing the essence of vintage: the nose, taste, color. 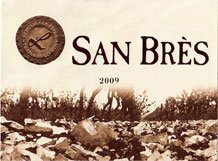 The 2010 San Bres is incredibly expressive on the nose, with red plum and raspberries and seductively offers a hint of spice. On the palate the tannins are balanced, the light red fruits are present alongside vanilla, and the finish is brief and smooth. Best served slightly chilled and in its youth for its fruitiness and smoothness. It is made from 80% Grenache Noir and 20% Syrah. Welcoming back this lovely Pic Poul as our wine of the week. With the weather getting warmer, nothing is more refreshing than a light, crisp, low alcohol wine. 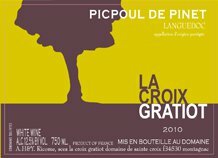 Situated between Bassin de Thau and hills of pines, the vineyard of La Croix Gratiot is near the village of Montagnac in the Languedoc.. The vines planted on a loamy-limestone soil profit from the marine trade winds and the scents of the scrubland. The wine is bright yellow with green highlights, intensely zingy with a clean scent of lime and white pepper. At 12.5% alcohol, this is a great wine to enjoy all summer long. Domaine Gardiés believes in living in harmony with nature, to understand that everything derives from the soil, and thus gives constant attention to it. The result is delicate complex wines that express their terroir. The Glaciares is a white wine made from 40% Grenache blanc and gris, 40% Rousanne, and 20% Macabeo. Harvested by hand from the Vingrau, the families original land. The nose is zesty with lime, pineapple, floral notes and a touch of oak. On the mouth you will taste white pepper, peach and oakiness with a bright finish.